LAFAYETTE, La. (AP) — The family of the man who killed two people and wounded nine others before killing himself at a crowded showing of “Trainwreck” said he was mentally ill and so violent that they hid his guns and sought police help to keep him away, court documents show. John Russel Houser, 59, stood up about 20 minutes into the movie and fired first at two people sitting in front of him, then aimed his handgun at others, firing at least 13 times, police said Friday. Then he tried to escape, but when he spotted police officers outside, he turned around and pushed back through the fleeing crowd. The officers tailed him into the theater and heard a single shot before finding him dead inside, police said. Houser earned degrees in accounting and law before he became estranged from his family years ago, and was staying at a Motel 6 in Lafayette before the attack. He parked his 1995 blue Lincoln Continental — with a mismatched license plate — by the theater’s exit door, and disguises including glasses and wigs were found in a search of his motel room, police said. “It is apparent that he was intent on shooting and then escaping,” Lafayette Police Chief Jim Craft said. 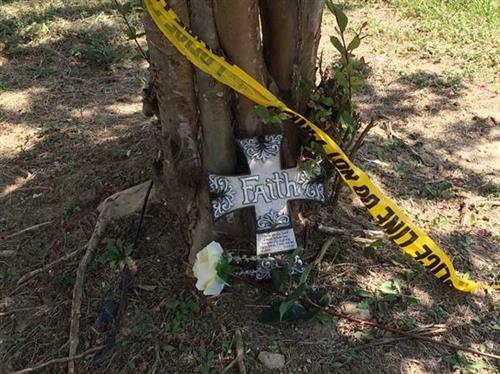 The two fatalities were identified as 33-year-old Jillian Johnson and 21-year-old Mayci Breaux. At least one of the wounded, ranging from their late teens to their late 60s, was in critical condition, Craft said. Two were released from the hospital. Theatergoers said the gunman sat alone and said nothing before he stood up and opened fire at Thursday’s 7:10 p.m. showing of “Trainwreck” at the Grand 16 theater. Domingue said she and her fiance ran for the nearest exit, leaving behind her shoes and purse. Randall Mann said his 21-year-old daughter, Emily, was sitting in the same row as the shooter. 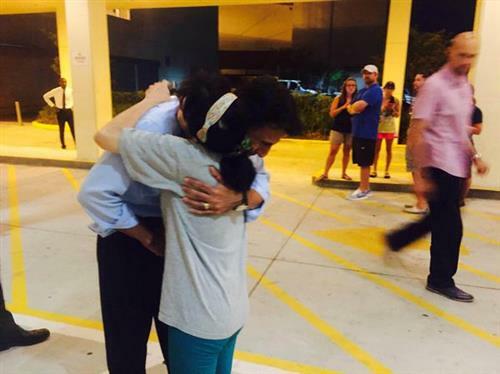 She told her father that she did not hear the shooter say anything before opening fire. Randall Mann said his daughter and her friend escaped, uninjured but traumatized. Stories of heroism emerged. Presidential hopeful Gov. 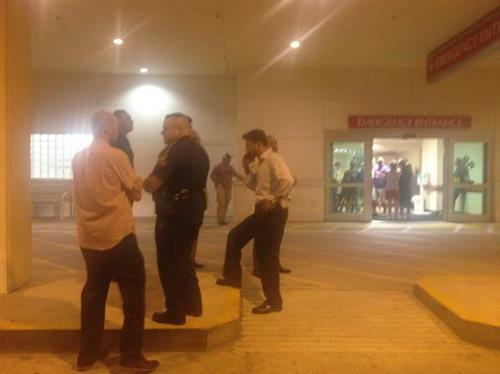 Bobby Jindal, who traveled to the scene, said a teacher jumped in front of a second teacher, taking a bullet for her. The second teacher then managed to pull a fire alarm to alert other moviegoers, he said. “Her friend literally jumped over her and, by her account, actually saved her life,” Jindal said. Houser refused to back down after getting out, however, so his wife, daughter and other relatives also obtained a protective order preventing him from coming near them. Houser was living in Phenix City, Alabama, by then, but came and “perpetrated various acts of family violence” at their home in Carroll County, Georgia, they said. His daughter, Kirbey Ellen Houser, was engaged to Andrew Michael Broome at the time, and though they were 23 and 26, he felt they were too young to be married. “He has exhibited extreme erratic behavior and has made ominous as well as disturbing statements” that their marriage would not occur, the filing says. Police weren’t sure why Houser ended up in Louisiana seven years later. State police superintendent Col. Michael D. Edmonson said there were about 100 people inside the theater at the time of the shooting. Keys, shoes and purses were all left behind. About a dozen law enforcement personnel descended on the Motel 6 in Lafayette where Houser had been staying. An officer carried out a cardboard box from the room and other officers could be seen knocking on neighboring doors. Edmonson said police believe the gunman did not wage any other attacks Thursday night before opening fire in the theater. “Trainwreck” star Amy Schumer tweeted: “My heart is broken and all my thoughts and prayers are with everyone in Louisiana.” The comedy stars Schumer as a magazine writer who decides to live a life of promiscuity after her father convinces her that monogamy isn’t realistic, but in spite of her best efforts, finds herself falling in love with one of her interview subjects. Outside the theater complex hours after the shooting, several dozen police cars remained at the scene, cordoned off with police tape as onlookers took cellphone photos. Some theater employees stood outside the police perimeter, and a man who identified himself as a general manager asked the media to leave them alone. Landry Gbery (pronounced Berry), 26, of Lafayette, was watching a different movie, “Self/less” at the time of the shooting when the lights came up and a voice over the intercom told everyone there was an emergency and they needed to leave. Gbery said he never heard gunshots, and assumed the emergency was a fire until he got outside and saw a woman lying on the ground. Tanya Clark was at the concession stand in the lobby when she saw people screaming and running past her. She said she immediately grabbed her 5-year-old daughter and ran. President Barack Obama was briefed on Air Force One by Lisa Monaco, his homeland security adviser, while on his way to Africa. He asked his team to keep him updated on the investigation and the status of the wounded, and offered his thoughts and prayers to the families of those killed, the White House said. The Louisiana shooting happened three years after James Holmes entered a crowded movie theater in suburban Denver and opened fire during the premier of a Batman film, killing 12 people, wounding 70 others. The jury found Thursday that the death penalty is justified, and is hearing evidence about James Holmes’ schizophrenia before issuing a sentence. Associated Press writers Kate Brumback in Atlanta; Melinda Deslatte in Lafayette, Louisiana; and Kevin McGill in New Orleans contributed to this report. See more photos on WTOP.com. Lafayette Police are working a shooting at the Grande Theater on Johnston Street. Lafayette Police received the call at approximately 730 pm, shooting involves multiple victims. 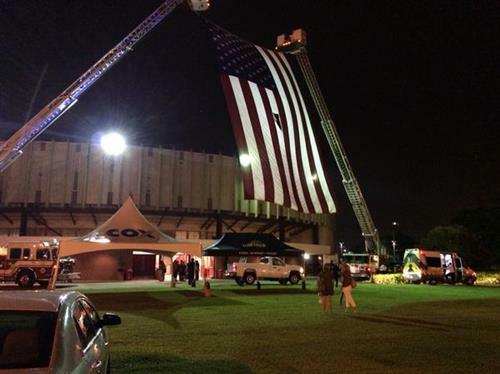 Prayers for Lafayette at Grand Theater. Talking to state police colonel about shooting in Lafayette. I'm on my way to Lafayette right now. Please say a prayer for the victims at Grand Theatre and their families. Master Trooper Brooks David with Louisiana State Police has confirmed that the shooter is a 58 year old man. "This is an awful night for Lafayette. This is an awful night for Louisiana. This is an awful night for the United States. But we will get through this,'' Louisiana Gov. 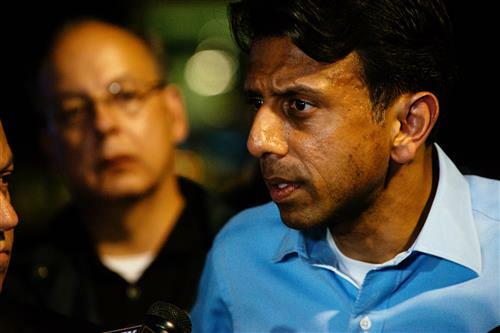 Bobby Jindal said at a news conference Thursday night. Thoughts and prayers are with the victims in Lafayette. We must put an end to these senseless tragedies. LAFAYETTE, La. (AP) — The star of the movie showing at the time of a shooting that left three dead and seven injured at a Lafayette theater has tweeted her support for the community. “My heart is broken and all my thoughts and prayers are with everyone in Louisiana,” comedian Amy Schumer posted Thursday night. According to police, about 100 people were in the theater for a screening of “Trainwreck” when a 58-year-old white man started shooting. He died of a self-inflicted gunshot. evacuated after suspicious package spotted. LAFAYETTE, La. (AP) — Officials say they have identified the Lafayette movie theater shooting suspect’s car. Police said at a news conference Thursday that the area was evacuated after suspicious items were spotted in the car and a bomb squad is on the scene. Col. Mike Edmonson of the Louisiana State Police says people on the scene will likely be hearing the sound of the car’s window and trunk being exploded. Three people were killed, including the gunman, and seven injured in the shooting. LAFAYETTE, La. (AP) — Louisiana Gov. Bobby Jindal praised two teachers as heroes for their actions at a Lafayette movie theater when shooting began. He said one teacher jumped in front of the other, saving her life. The second teacher then managed to pull a fire alarm, he said. Police say a “lone white male” was responsible for the attack that left three dead, including himself, and seven injured. LAFAYETTE, La. 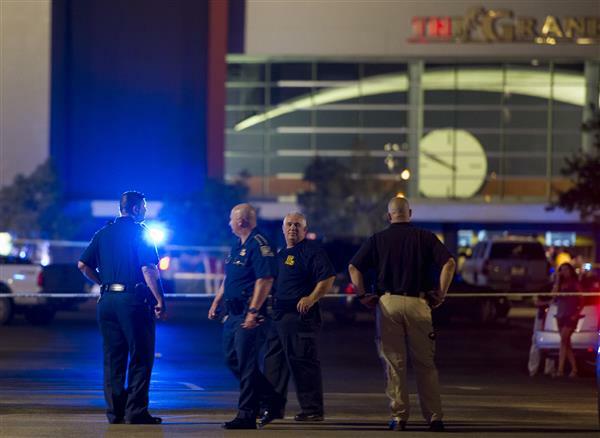 (AP) — Police said bodies were still inside a Lafayette movie theater after a shooting Thursday night. 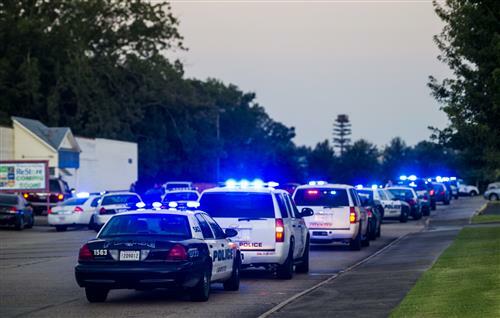 “The shooter is still in there, at least one other person,” Col. Michael D. Edmonson of the Louisiana State Police told reporters at a news conference. Police say a 58-year-old white man fatally shot two and injured seven before turning the gun on himself. Edmondson said police and state authorities will work to figure out what brought the shooter to the theater. “Why did he go in there by himself? Why did he go in the theater, and why did he decide to pull a weapon out and to harm individuals and actually kill two individuals?” he said. LAFAYETTE, La. 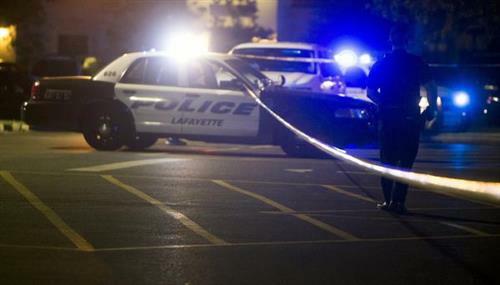 (AP) — Police say they are checking out suspicious packages inside the Lafayette movie theater where a gunman opened fire Thursday. Sgt. 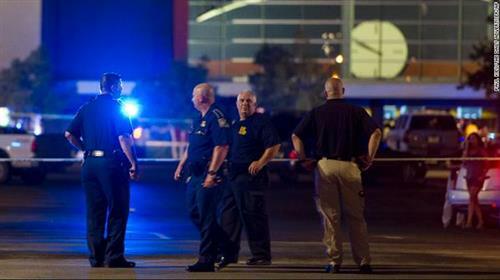 Brooks David of the Louisiana State Police said a dog alerted to a backpack and other small items in the theater. LAFAYETTE, La. 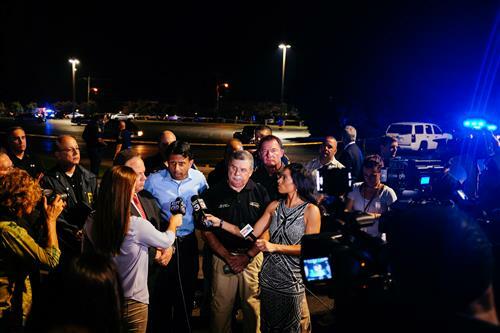 (AP) — Lafayette Police Chief Jim Craft told reporters that based on the investigation so far, they believe the shooter stood up in the theater, started shooting, and then as people started fleeing, he began to leave as well. But, investigators believe, he spotted two police officers, who had been out in the parking lot when the shooting happened. The shooter then turned around against the crowd before firing a single shot. “The information we have at this time indicates that he was by himself, sat by himself and the first two people he shot were sitting right in front of him,” Craft said. LAFAYETTE, La. (AP) — A gunman sitting in a packed movie theater stood up about 20 minutes into the showing of “Trainwreck” and began firing into the crowd, killing two and wounding at least nine others before fatally shooting himself, authorities said. The gunman initially tried escaping Thursday night by blending into the fleeing crowd, but turned back when he saw police heading inside from the parking lot, authorities said. Officers tailing him back into the theater then heard a single gunshot and found him dead inside, police said. They described the shooter as a 58-year-old “lone white male” with a criminal history but did not immediately disclose his name. Lafayette Police Chief Jim Craft said the gunman was by himself and started the rampage by shooting the two people sitting in front of him. LAFAYETTE, La. 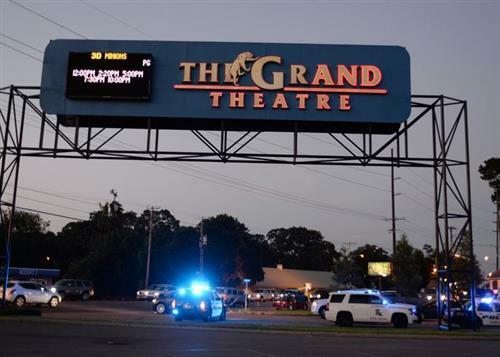 (AP) —Louisiana State Police spokesman Maj. Doug Cain said the theater investigation led them to a room at the Motel 6. Cain said authorities were investigating whether the shooter had stayed there. He said the bomb squad swept the room before going in as a precaution. AP: A 33-year-old and a 21-year-old were killed. Read the story here.